Pulmonary arterial hypertension (PAH) is a devastating disease which can result in right heart (RH) failure and death. Herein, we discuss the current clinical applications of echocardiography in PAH. Advanced echocardiographic techniques (strain, strain rate, 2D-speckle tracking strain, and three-dimensional echocardiography) may reveal in the near future additional important insights into RH structure and function. Although right-heart catheterization is mandatory for a definitive diagnosis, echocardiography (resting and exercise) represents a key noninvasive imaging test on the diagnostic-prognostic-therapeutic PAH algorithm. Francesco Ferrara, Xiao Zhou, Karina Wierzbowska-Drabik, Olga Vriz, Bahaa M. Fadel, Anna Agnese Stanziola, Jaroslaw Kasprzak, Mani Vannan, and Eduardo Bossone declare that they have no conflict of interest. Luna Gargani reports speaker honoraria from General Electric and Glaxo-Smith-Kline. • van Riel AC, Opotowsky AR, Santos M, et al. Accuracy of echocardiography to estimate pulmonary artery pressures with exercise: a simultaneous invasive-noninvasive comparison. Circ Cardiovasc Imaging. 2017;10(4). 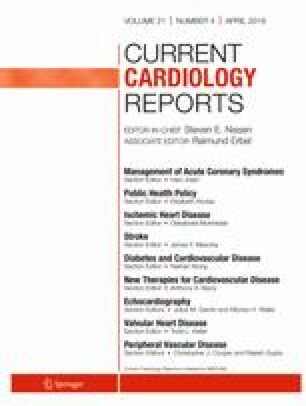 https://doi.org/10.1161/CIRCIMAGING.116.005711 This work provides useful information regarding the accuracy of noninvasive assessment of pulmonary artery pressures during exercise by Doppler echocardiography compared with right heart catheterization in a large patient population.